Daryl Johnson (Worcester Park, United Kingdom) on 27 April 2012 in Architecture. @Hans ter Horst: You know what Hans, didn't get much closer to it so didn't see how it looked close-up. Hans is right on how shabby this gets to look and each of the restorations seems to be more superficial than the last but it does make a wonderful visual statement. I can photograph my kitchen window from the top - not a lotta people know that ! @Ronnie 2¢: Didn't go up unfortunately, otherwise I would have been able to identify you from the plume of blue smoke, I'm sure! Very nicely framed between the trees! 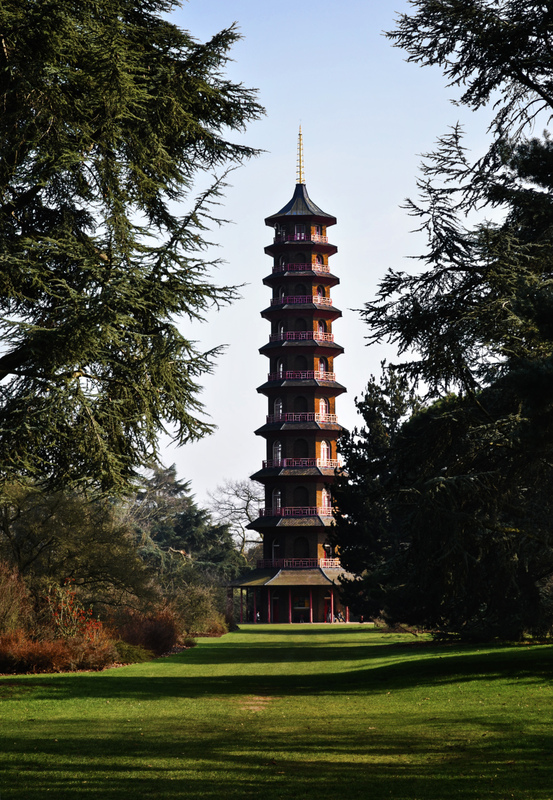 A lovely shot of this tall pagoda. Impressive...and you framed it nicely!